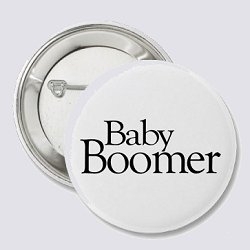 Technically, a baby boomer is defined as an individual born between 1946 and 1964, however the 18-year age difference is significant. The tail end of that group was just being born when the early boomers were graduating from high school. Theoretically, one could have been a parent while the other was just a newborn. Because of the huge age range of baby boomers, they don’t always have a lot in common. In the U.S. and Canada, Depending on which government agency you ask, there were between 77 million (US Dept. of Health & Human Services) to 79 million (US Census Bureau) baby boomers born between 1946 and 1964. There have always been “boom” years, when an unusually high number of babies were born, but this significant increase in the population refers to babies born in the countries that were victorious in WWII. The period is generally regarded as beginning in 1946 and ending in the mid-1960s. Landon Jones coined the term “baby boomer” in his book “Great Expectations: America and the Baby Boom Generation”. Researchers have been interested in this group for years. They have been dissected, studied and analyzed by companies wanting to market to them, sociologists wanting to understand them and statisticians wanting to predict everything from their health care needs to their impact on the planet. They have been said to represent a rejection or redefinition of traditional values, however, that philosophy is changing as they age. Their values often mimic those of their parents, while their interests may be similar to those of younger generations. The one thing they seem to believe is that they will never grow old in the sense of how they perceive age. They have been the healthiest, wealthiest and best educated generation, and they have a smug and genuine feeling of belonging to a very special “club”.